The British Casino Awards is back and Everi has returned to the prestigious sponsor line-up for a second year, lending their support to the awards scheme designed to benchmark and champion excellence in the gaming sector. 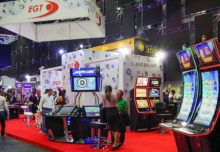 Everi, a leading supplier of technology solutions for the casino gaming industry, provides casino operators with a diverse portfolio of products including innovative gaming machines and casino operational and management systems. In addition to Everi, the second edition of The British Casino Awards has received the early backing of Passport Technology and TCSJOHNHUXLEY, plus the support of the National Casino Forum (NCF) and European Casino Association (ECA). With the scheme now underway, those that wish to be in the running for a coveted accolade should visit the British Casino Awards website to submit an entry. Nominations are also encouraged and can be submitted using the same online form. Entries close on Thursday 15th November and those that meet the necessary criteria will proceed to the next stage – a unique decision-making process. 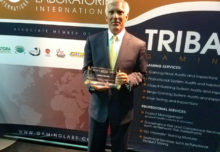 While a number of categories (National Casino Forum Diversity and Inclusion Award; Corporate Training Investment Award; Rising Star; CHIPS Community Engagement Award and Lifetime Achievement Award) will be rigorously evaluated by a panel of esteemed industry experts, the majority of the Awards will be decided by an industry vote. Those in the running will have over a month to rally the support of their industry peers, with the online vote opening on Thursday 22nd November and closing on Wednesday 2nd January. The judging panel and online vote will produce a shortlist in each category, which will be announced on the British Casino Awards website on Monday 7th January. The second wave of British Casino Awards winners will be inducted into the ‘Hall of Fame’ at the hotly-anticipated ceremony, taking place in London on Tuesday 5th February. The event will also serve as a platform to raise awareness and funds for CHIPS – the charity dedicated to purchasing specialised powered wheelchairs for disabled children.